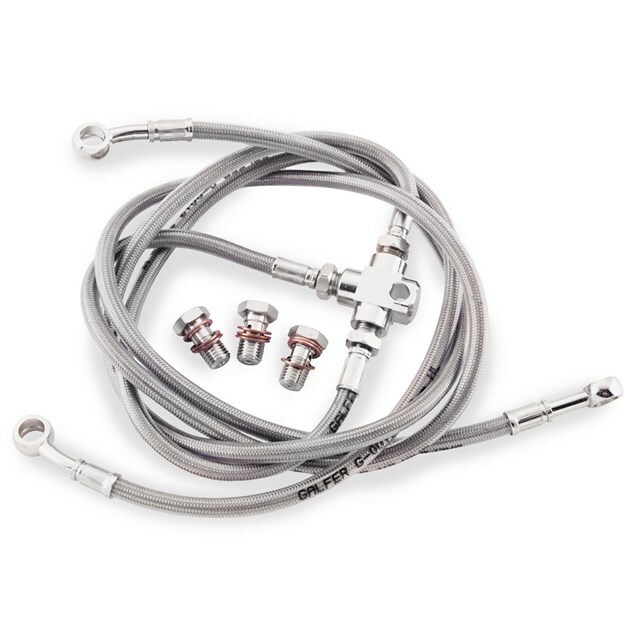 Galfer brake lines are made of a PTFE62 Dupont Teflon® inner core with a 64 strand stainless steel outer braid and protected by a PVC, UV resistent coating. All lines are CAD/CAM designed, manufactured in-house, bike specific, track tested and race proven to give you optimal performance. Banjo fittings incorporates a crush washer relief channel to ensure a proper seal and our fittings are those found stock on Ferrari, Lamborghini, KTM and Ducati.